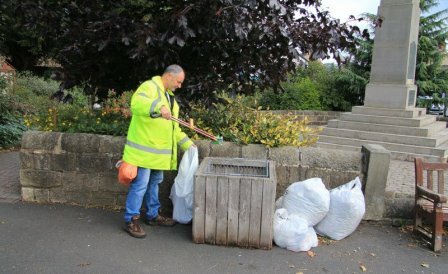 Kieran is our lengthsman, a familiar face as he works in all weathers to help keep the roads, streets,ginnels and pathways litter free. He is a local man with an excellent knowledge of the village. We are always delighted to recieve praise for his work. and have received countless messages about the improvements he has created since joining us in 2006. Unfortunately for legal reasons his role des not extend to snow clearance of the pavements in the often bleak mid winter. © Pool in Wharfedale. All Rights Reserved. Design by Vision ICT Ltd.